Airtel 2G Network data plan has been a barrier to some people who migrated to it. Many are complaining that they want to opt out of the data since they can't browse with the data on enabled 3G network using their phones. May be, you must have tried to opt out from it and the whole thing didn't workout just because airtel did not provide the option for doing that, then you stop using the SIM. If you are experiencing such predicament using airtel network, then you need not to worry as am gonna show you a devised means to opt out or deactivate from such plan and also to put an end to its auto renewal mode. √ To deactivate or opt-out from Airtel 2g data plan just dial this code *482*4#, and after that, you will get an invalid request message. √ Next is to reply with * and then reply with 3. √ After carry out the above steps/procedures, then you will get to receive a message From Airtel Network saying "You have canceled your 2G data subscription". That's all. 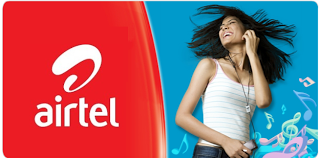 You can now subscribe to any Airtel data plan you like. Before, it used to be that, if you are migrated to Airtel 2G plan, you can't opt opt out or even subscribe for another data. But now, the problem is solved.